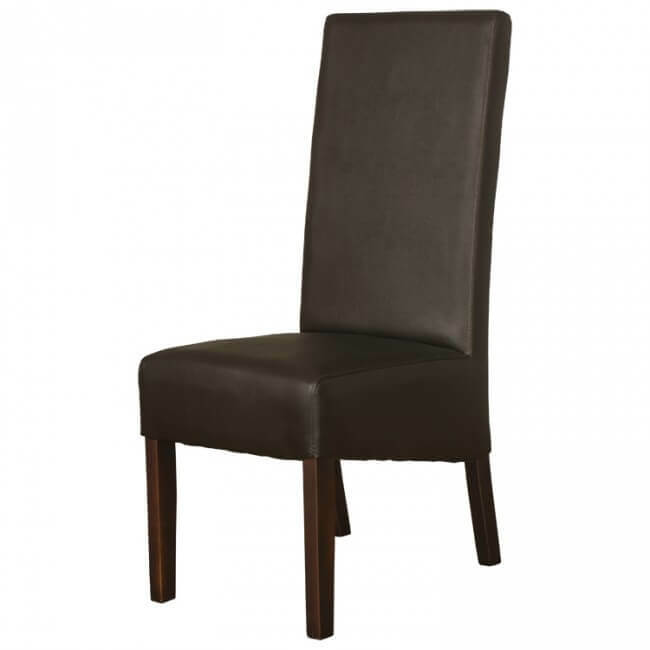 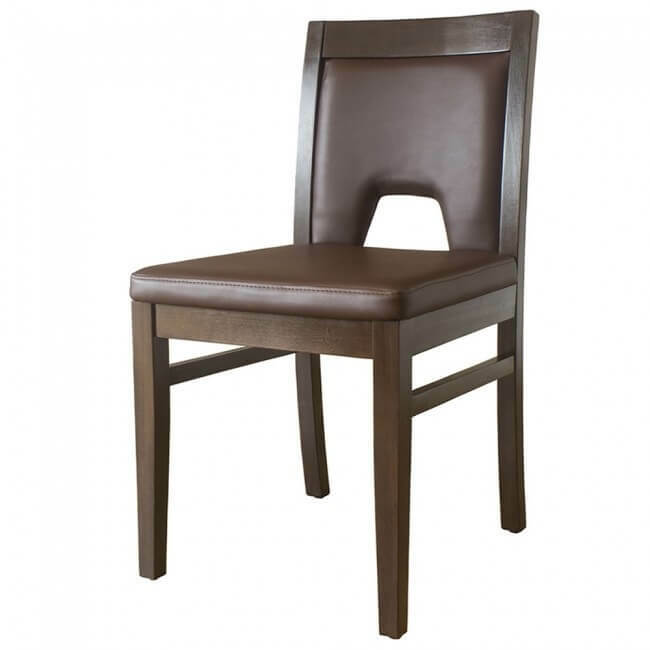 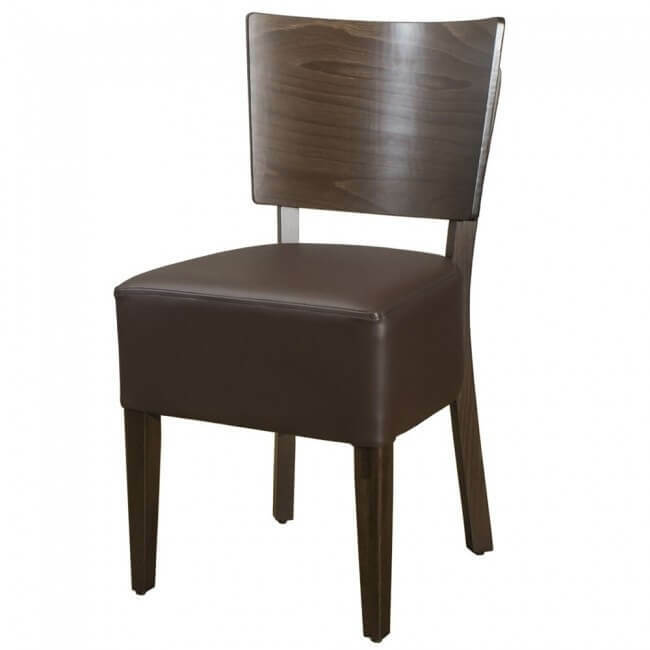 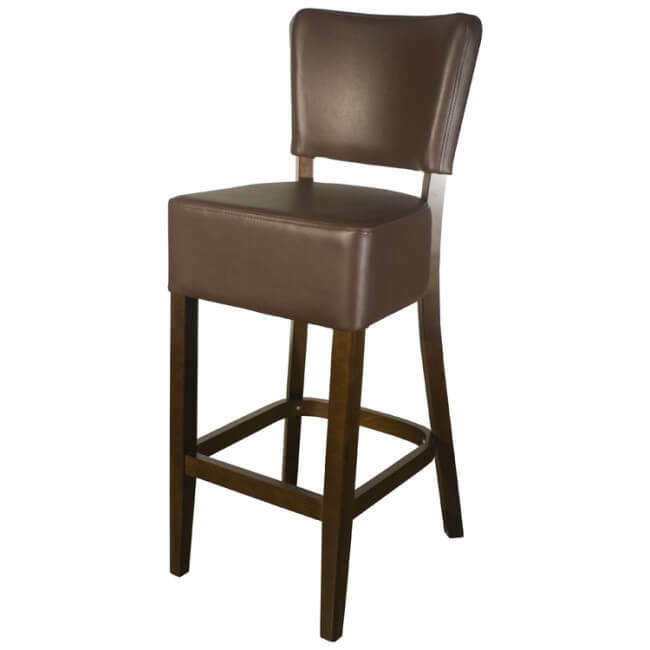 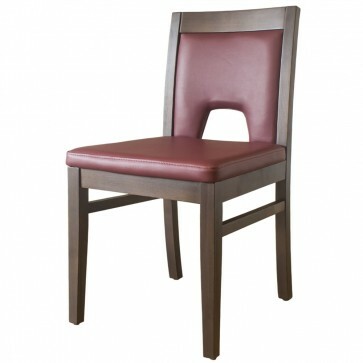 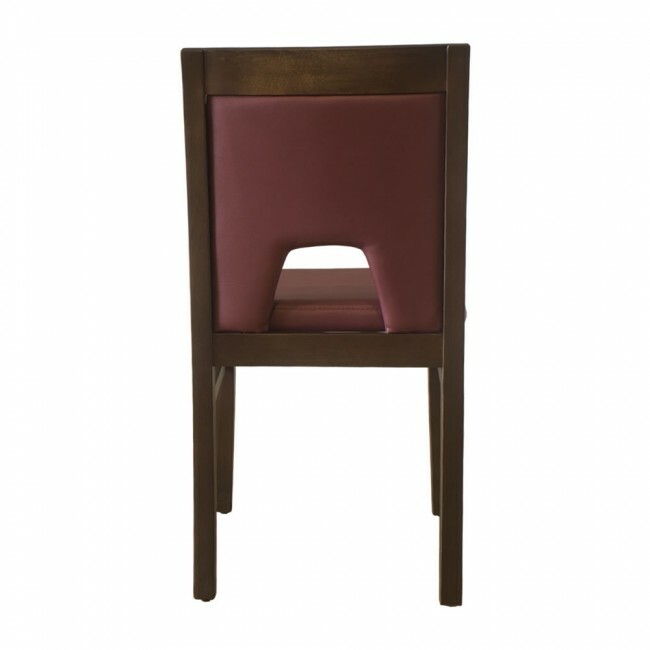 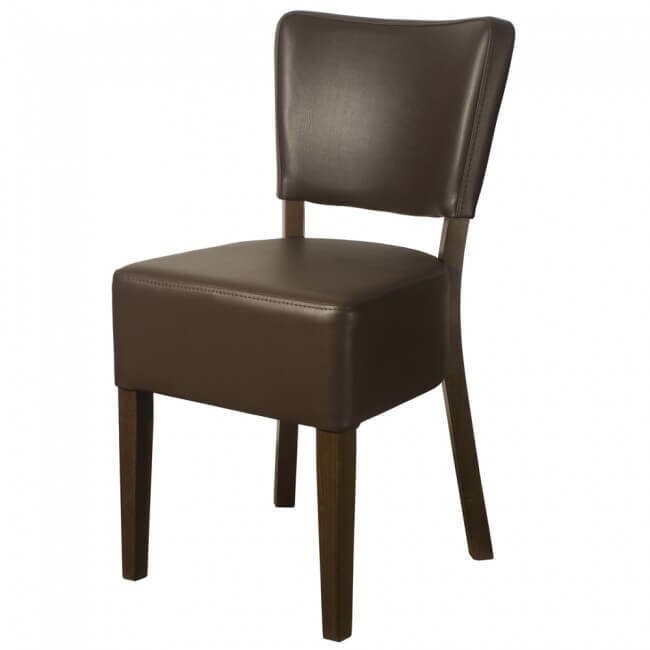 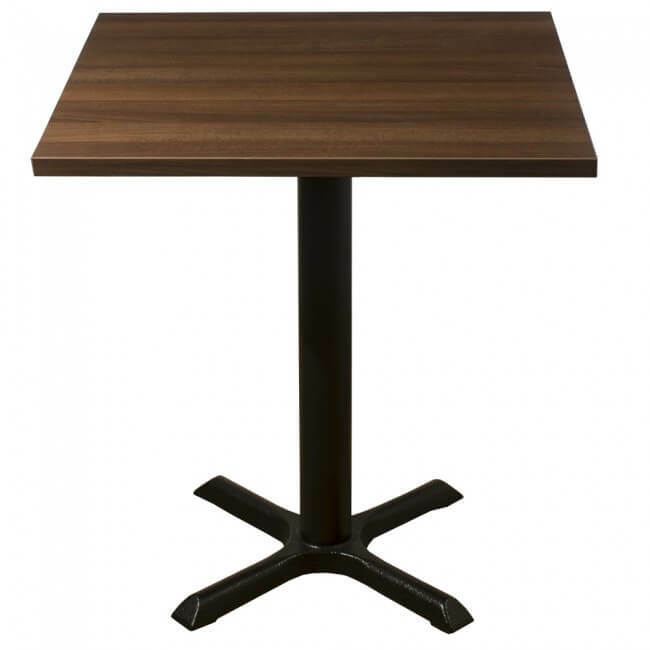 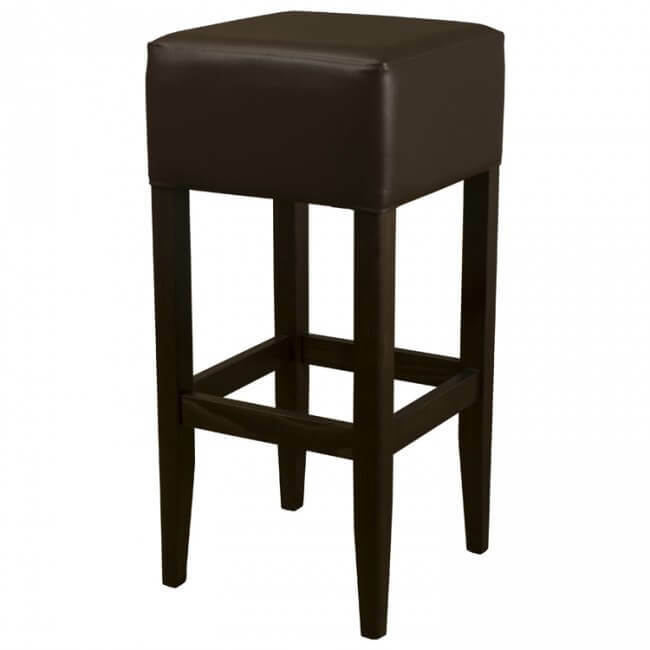 Windsor Restaurant Chair in Walnut / Wine, a great modern addition to our commercial restaurant and cafe furniture range. 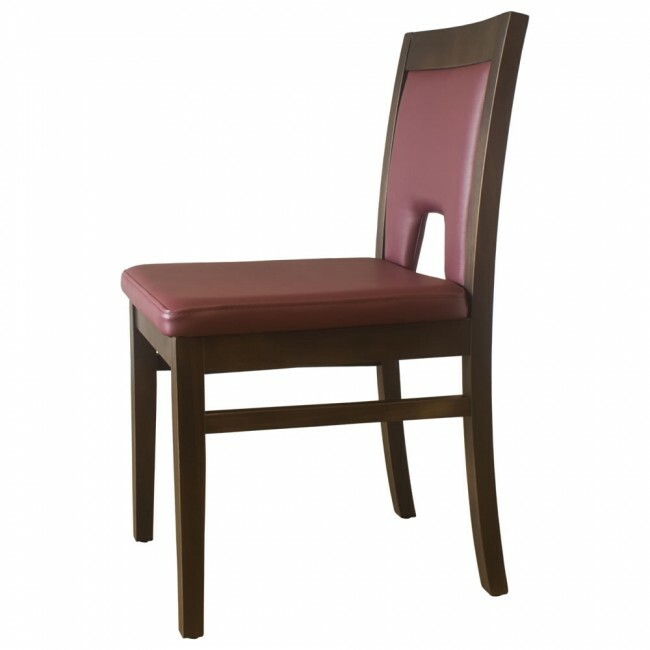 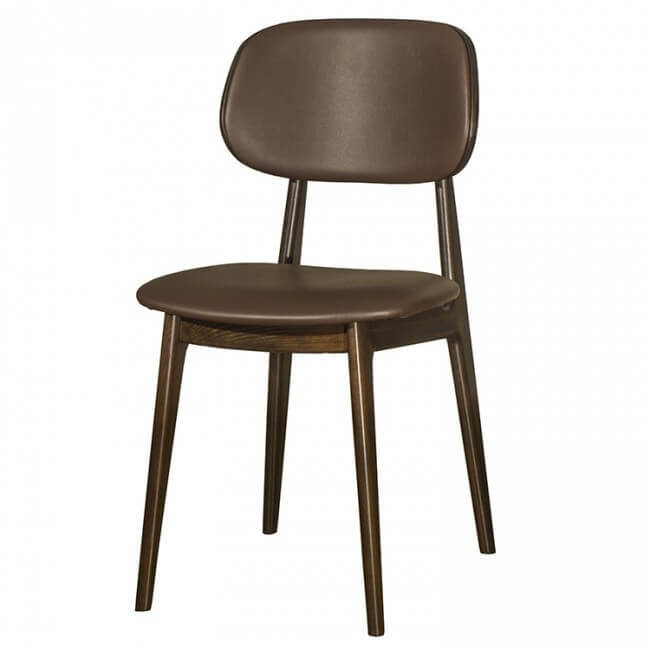 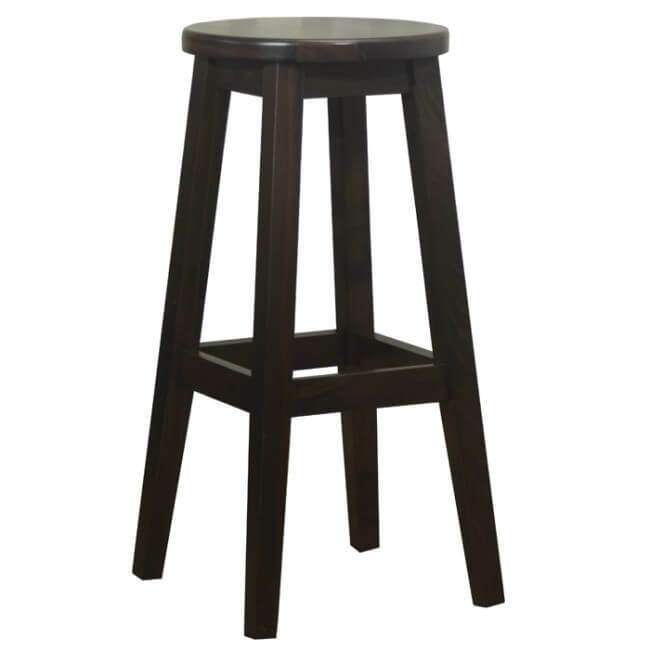 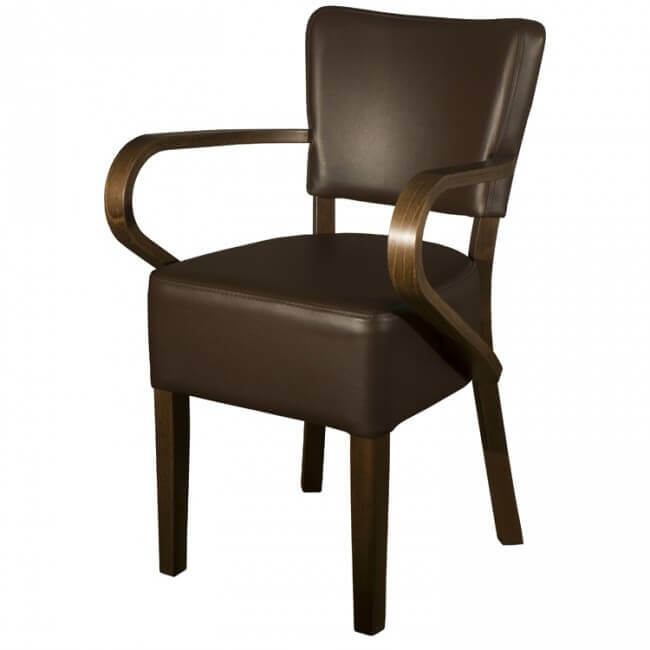 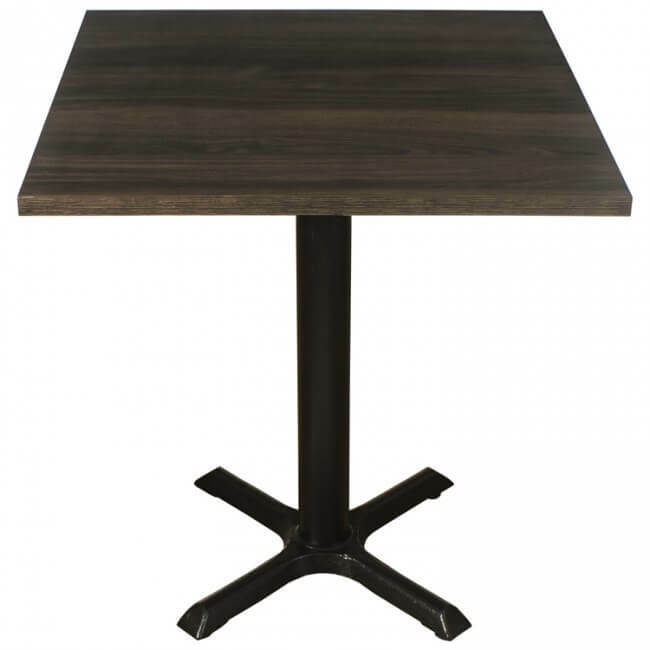 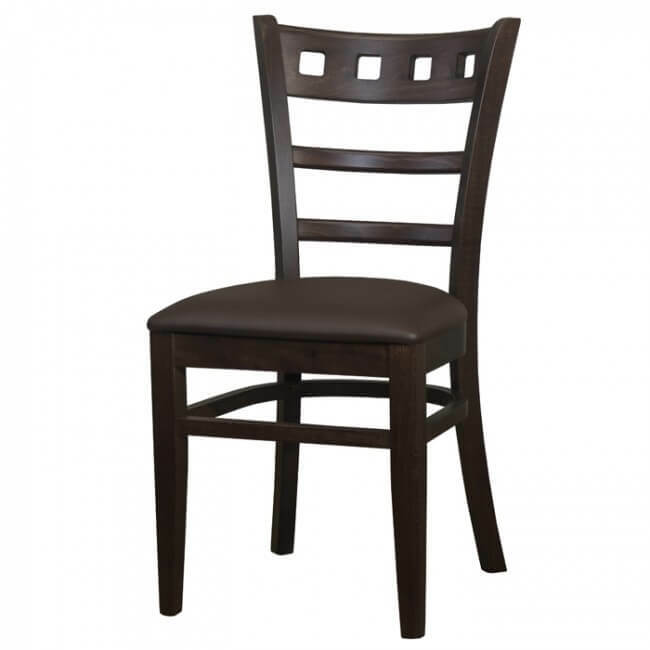 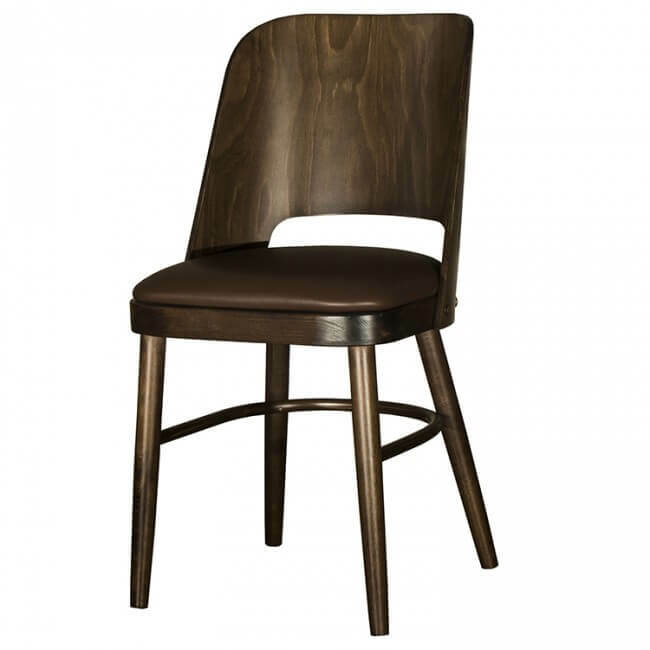 The Windsor restaurant chair is a great looking modern style chair, produced in Europe from solid European Beech wood, the frames have then been reinforced with stretcher bars for additional strength to ensure the walnut stained frames will withstand the vigorous use from establishments such as restaurants, cafes or hotels. The hardened frames are then paired with Crib 5 commercial grade faux leather in a wine red and foam to ensure the chair meets the stringent UK contract standards required for hotels, restaurants and cafes. 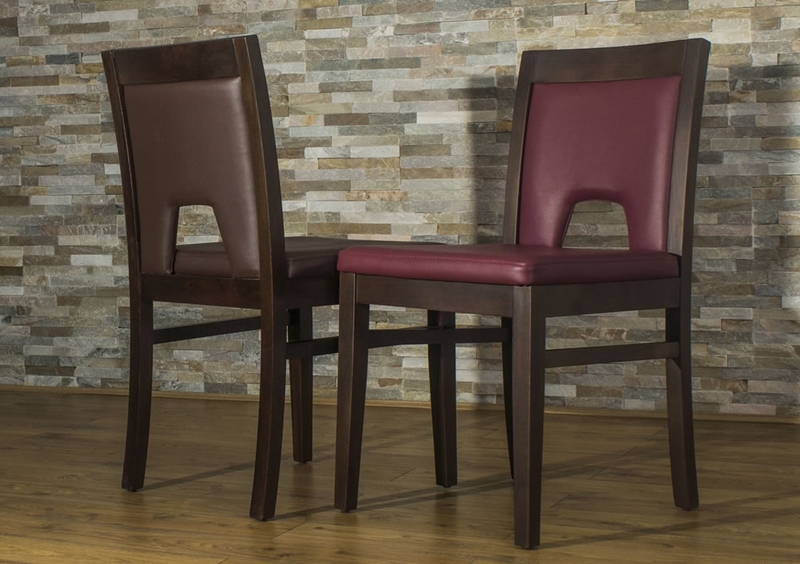 The geometric design combined with the foam and faux leather combination used in this modern restaurant chair will be a considerable "selling point" for you as the chairs are not only appealing to look at, but are also very comfortable. 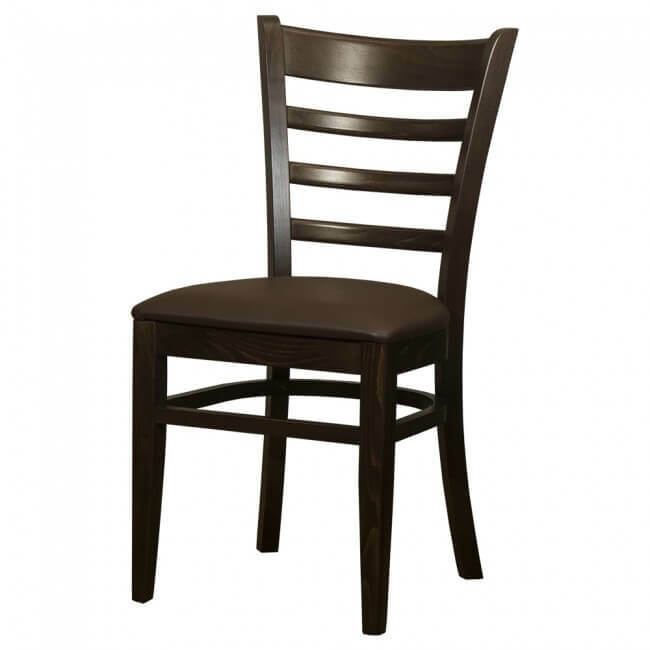 Your customers will be visiting your restaurant or cafe again and again. 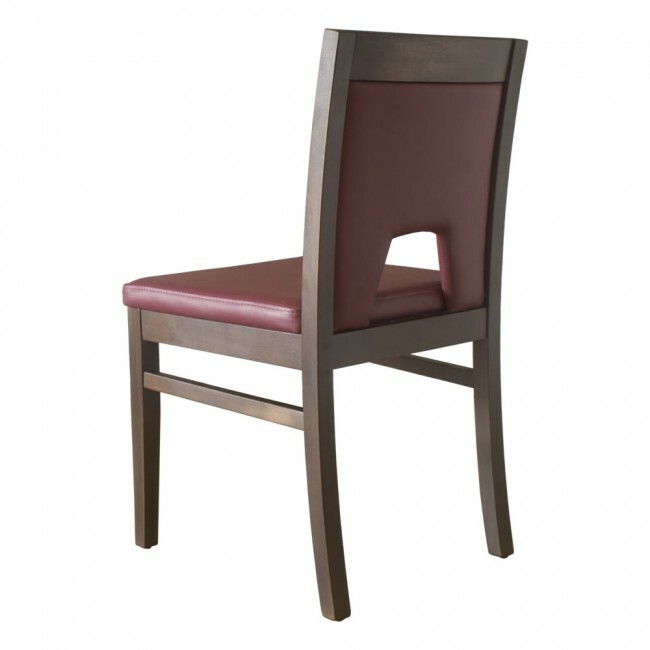 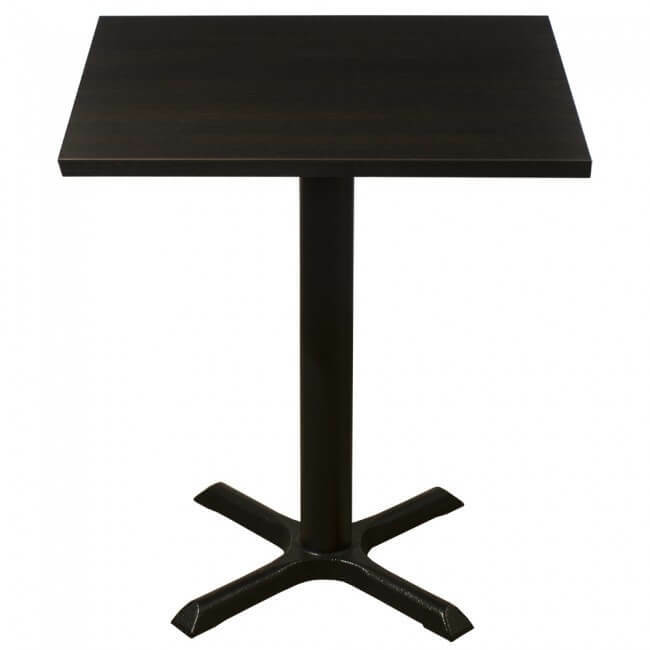 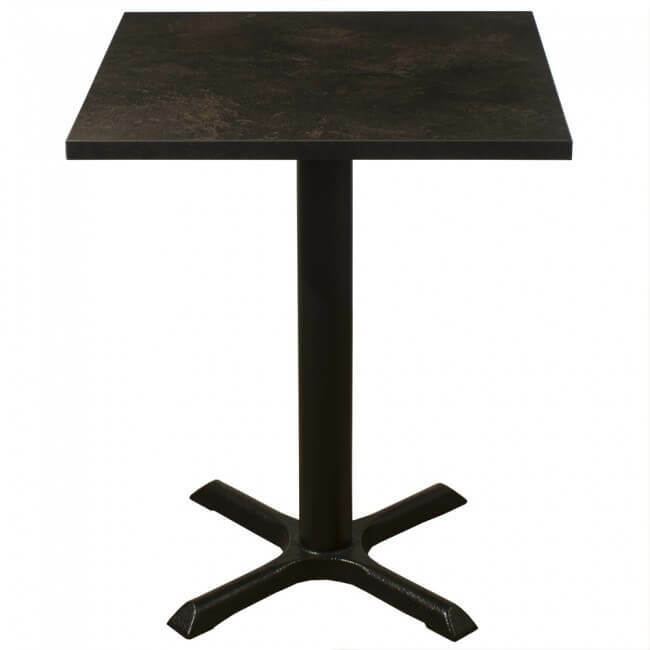 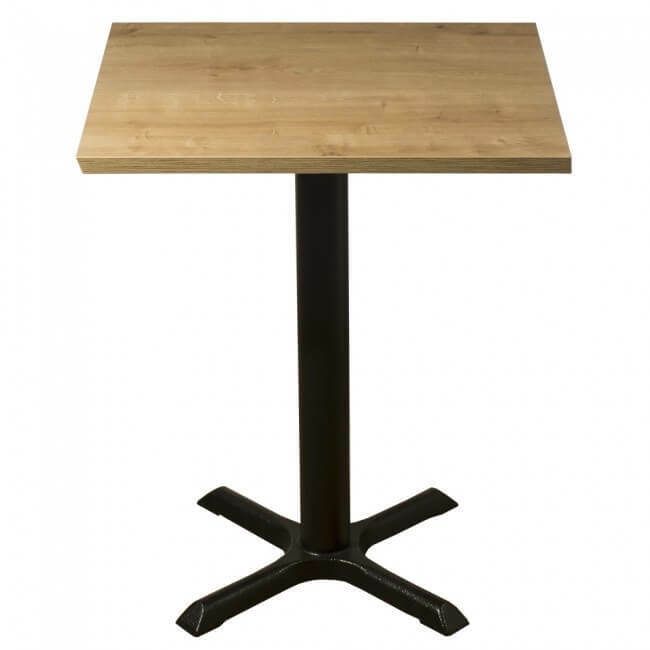 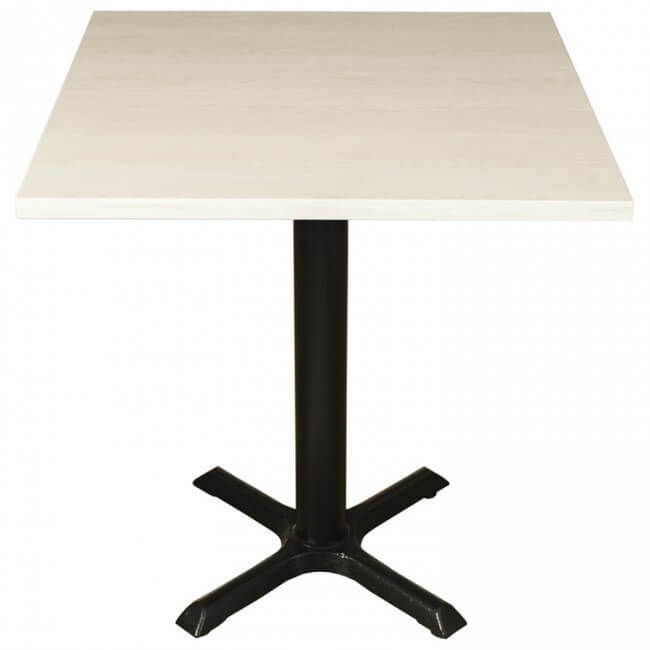 As the restaurant chairs are fully assembled, you will only have to take the chairs out of the packaging and they are ready for use immediately.